Safe and secure scaffolding in Washington, D.C. is important when you need to work on something that is high above ground level. Fortunately, the process of assembling this structure is straightforward. Watch this video for help in assembling scaffolding. In the video, you’ll see exactly how scaffolding is designed and put together. Scaffold Resource is dedicated to providing high-quality shoring systems and construction scaffolding rentals in the Washington, D.C. area. Feel free to meet with us, visit our website, or give us a call at (301) 924-7223 to find out more about what we can do for you today. 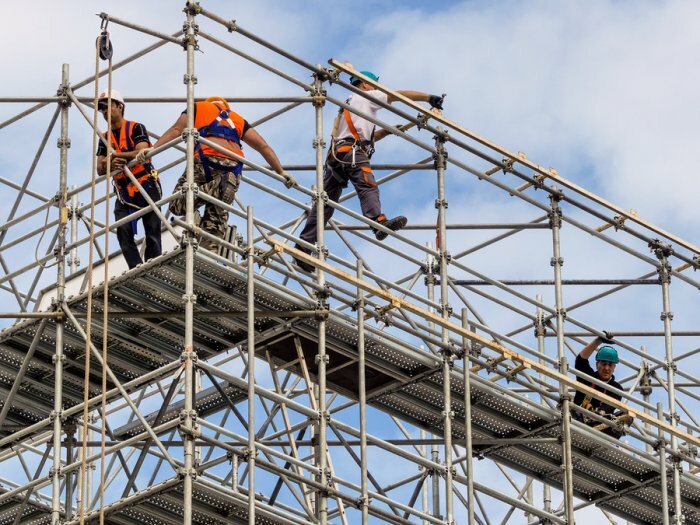 A scaffolding rental in Washington, D.C. can be a valuable resource when it comes to construction work on high surfaces, but serious injuries may occur if this scaffolding is used improperly. 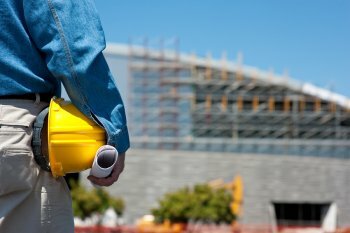 Here is a look at a few helpful safety tips for your scaffolding rental. Scaffolding is designed to provide workers with a safe and stable surface to work upon when a task cannot be done from the ground. Improperly installed and assembled scaffolding can be very dangerous to work on, especially at levels high above the ground. Be sure to put your scaffolding rental together properly ; if you are unsure of how to do this or believe there may be a problem, always talk to a professional rather than take the risk and work on it anyway. In many cases, scaffolding will be left up at the work site for several days at a time. Just because your scaffolding was fine when you left it, however, does not mean that it will be in the same condition when you return. For this reason, it is crucial that you inspect your scaffolding thoroughly before each use. Failing to observe this safety precaution can result in severe injury and even death. The individual who inspects the scaffolding should be competent and have enough experience in the industry to recognize a hazard. Even if you are sure that you installed your scaffolding properly and you provide it with a rigorous inspection before each use, accidents can happen. Always wear the appropriate safety equipment when working on top of scaffolding, which may include a hard hat as well as safety cables and other fall protection gear. If you would like to make sure that you stay as safe as possible while using your scaffolding rental, call Scaffold Resource at (301) 924-7223. We are happy to serve the Washington, D.C. area with shoring systems and scaffolding rentals. Feel free to stop by and meet us or visit our website if you would like to learn more about our construction scaffolding.